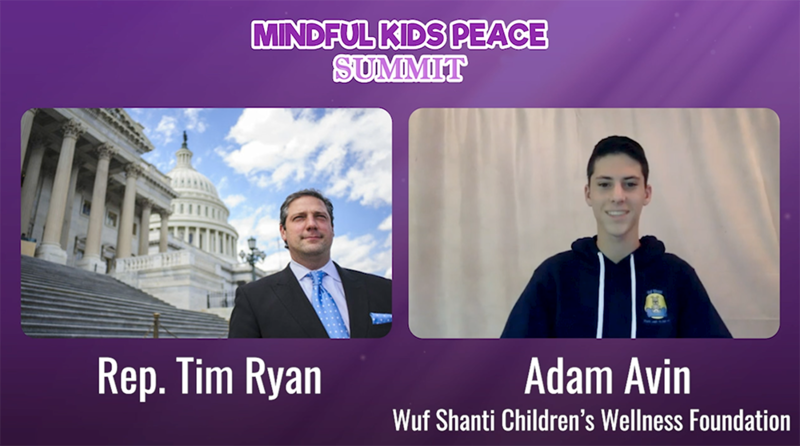 A few months ago, or maybe 6, I spoke with Congressman Tim Ryan about mindfulness in politics, education, and the world. I interviewed him for my Partners of Peace podcast and blog. I wanted to interview him on video for the peace summit, but he wasn’t available (the Government was closed around the time that I was doing the peace summit, and he was super busy dealing with that). So, I recycled the interview and turned it into a video by putting our pictures on top of it. I think it was important enough to do that for because it’s important for kids, teachers, and parents to hear from one of our leaders that mindfulness and SEL are important life skills.